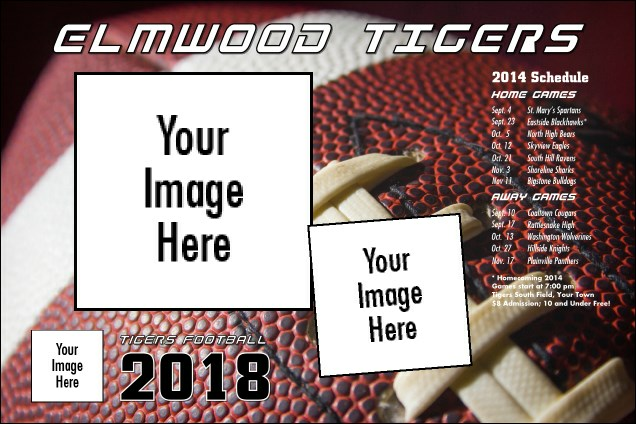 Gain yards and fans in your event planning with the Football Schedule Poster. With room for bright images and a full home and away schedule down the side, fans will have all the information they need to cheer for your team. Huddle up with a Football Schedule Event Kit for a full season of fun! Promote your next game time event with TicketPrinting.com.